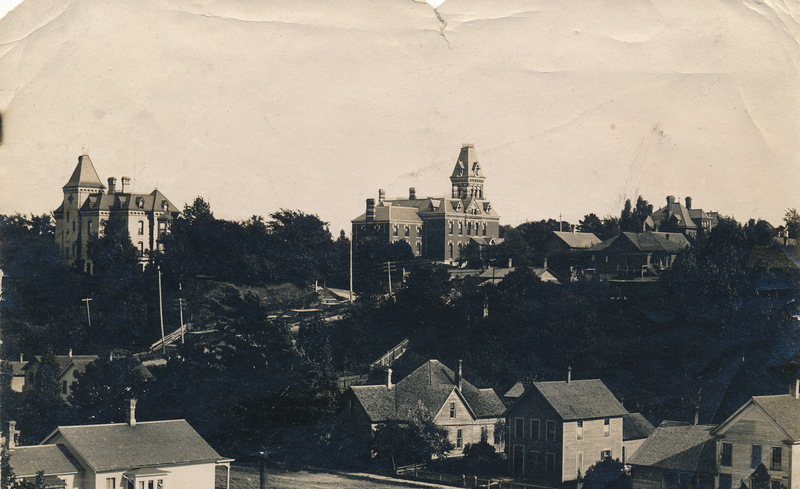 In 1913 Manistee was a small thriving city located in the northern part of Michigan bordering Lake Michigan. 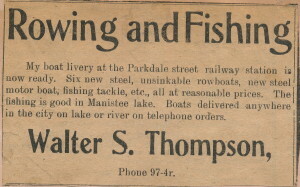 The Thompson’s and the Anderson’s, along with many more families lived in Manistee and enjoyed its many amenities. 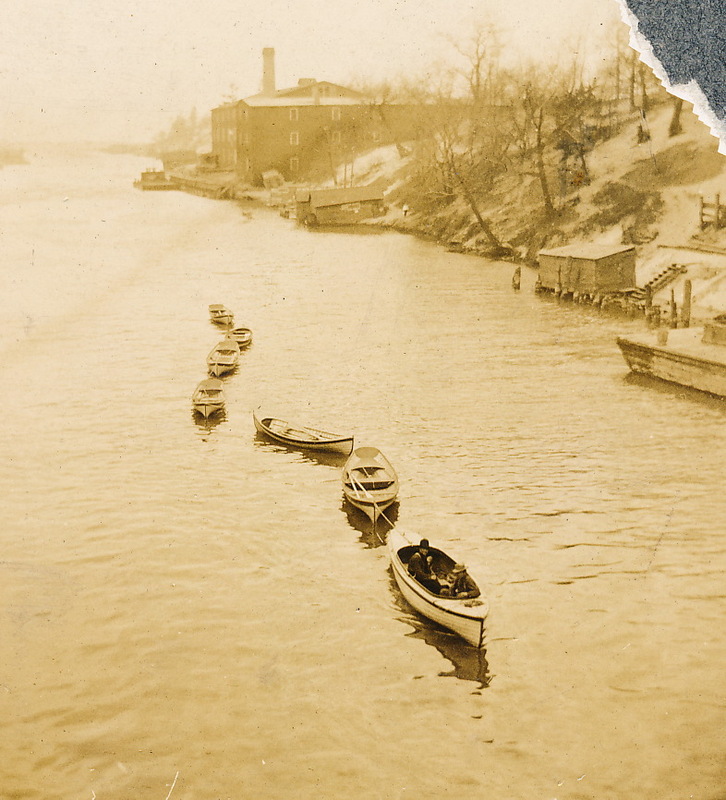 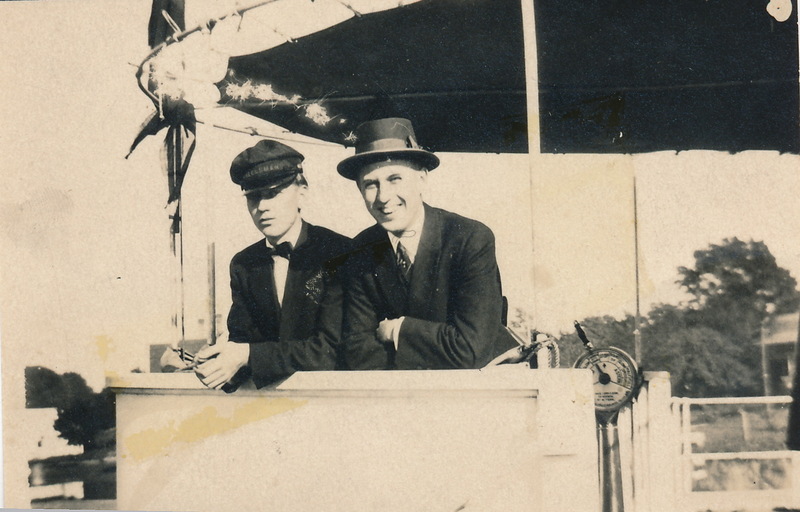 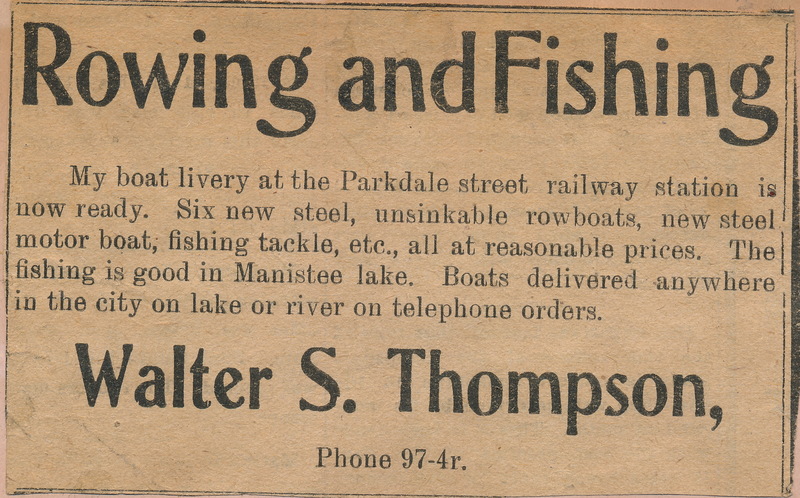 In 1913, my Grandfather, Walter S. Thompson, had a boat livery business in Manistee. 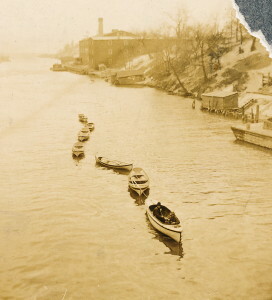 He had eight steel boats, “unsinkable” according to an article in the local newspaper, which he would tow every morning from the Manistee River to the shores of Lake Michigan and return every evening. The Manistee River had a bridge that crossed Maple Street. 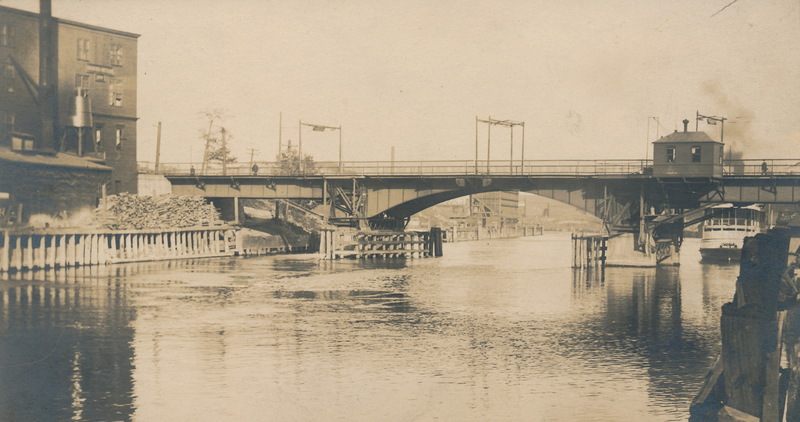 According to my cousin, Ryan Jach, who is my “go-to” expert on Manistee geography, the same bridge still crosses the river. 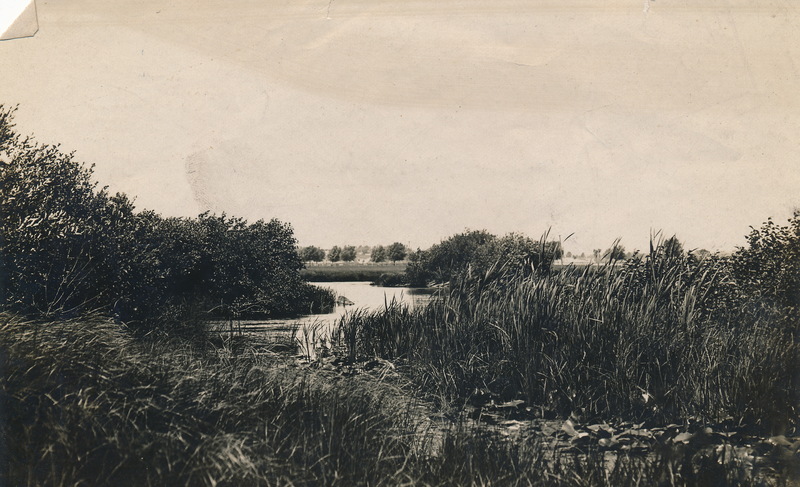 Further up the Manistee River, the wetlands are found. 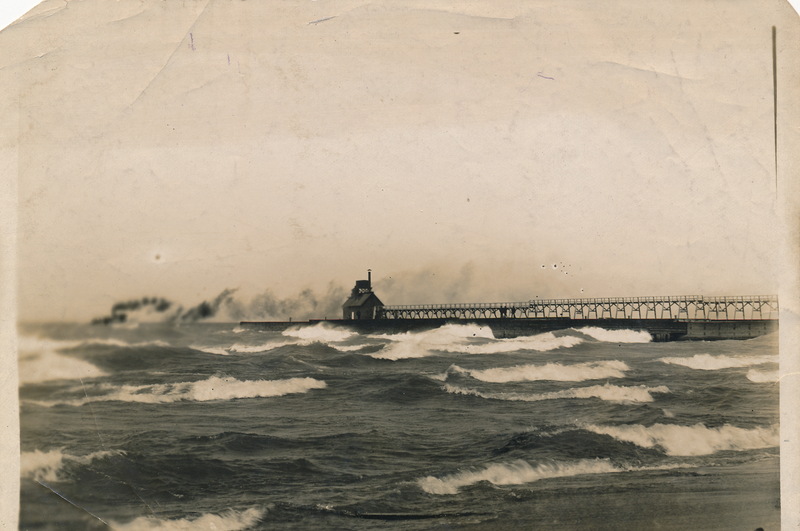 Near where the Manistee River flows into Lake Michigan there is the famous Manistee Pier which juts out into the large Great Lake and offers a break in the waves that can sometimes torment the town with their fury. This is a photo from the Anderson collection taken sometime around 1913. It shows the pier with the old lighthouse and in the background a nearby steamer with smoke billowing from its chimney. 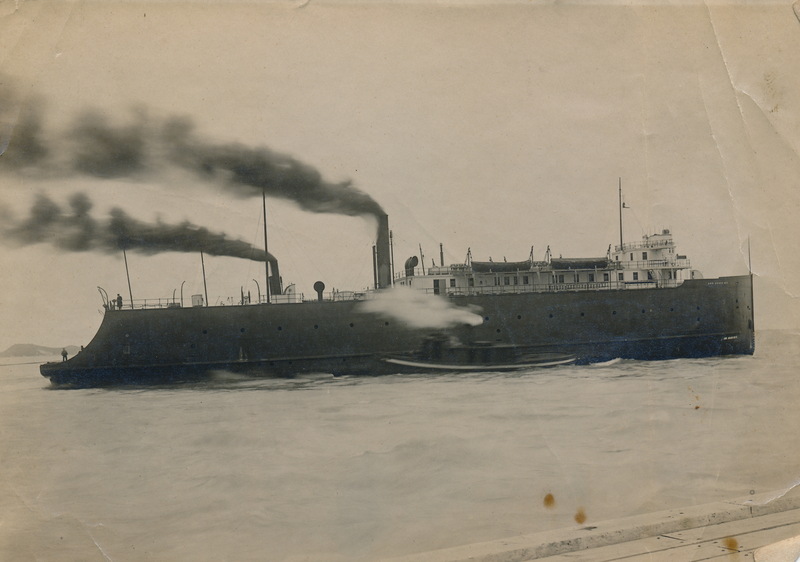 In 1913 many large ships traversed Lake Michigan, some carrying fright, some carrying passengers, all experiencing the beauty of the waters, and some facing it’s perils. 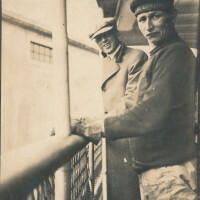 The next two photos are from the Anderson collection. 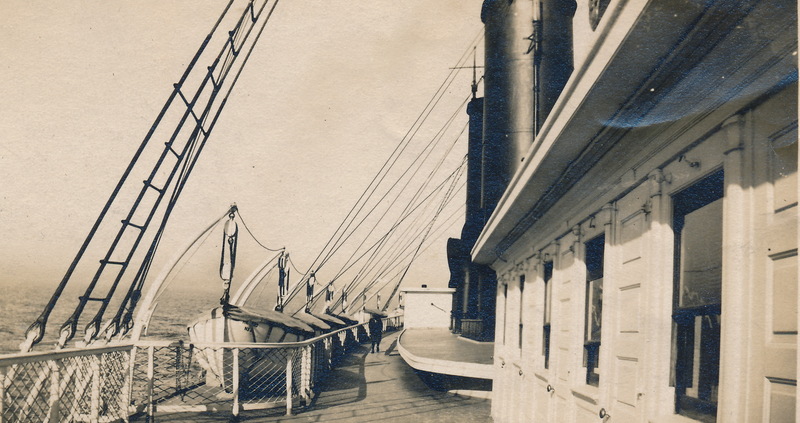 I could not make out the names of the ships. 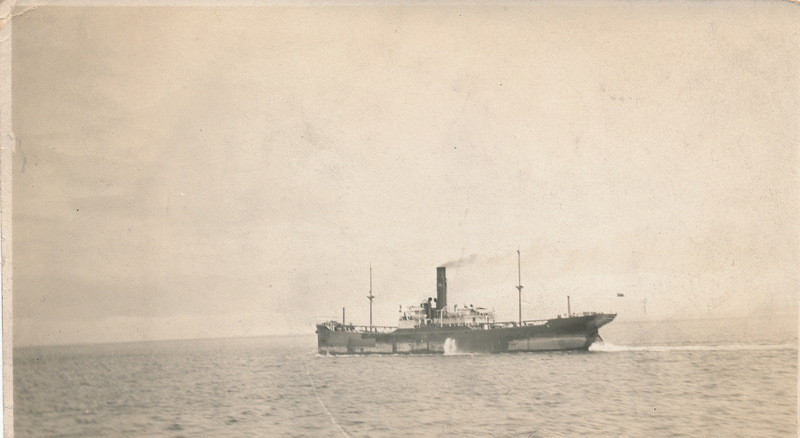 One is a steamer, probably carrying fright of some sort, the other is a ferry, carrying vehicles and people. 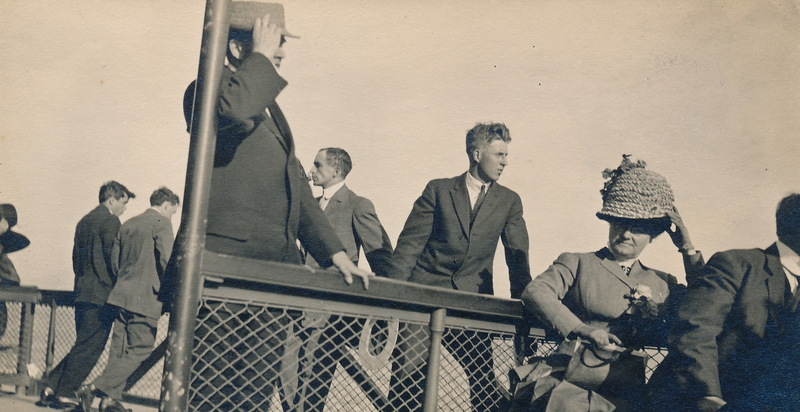 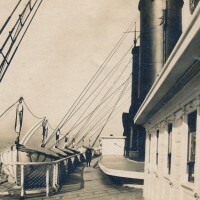 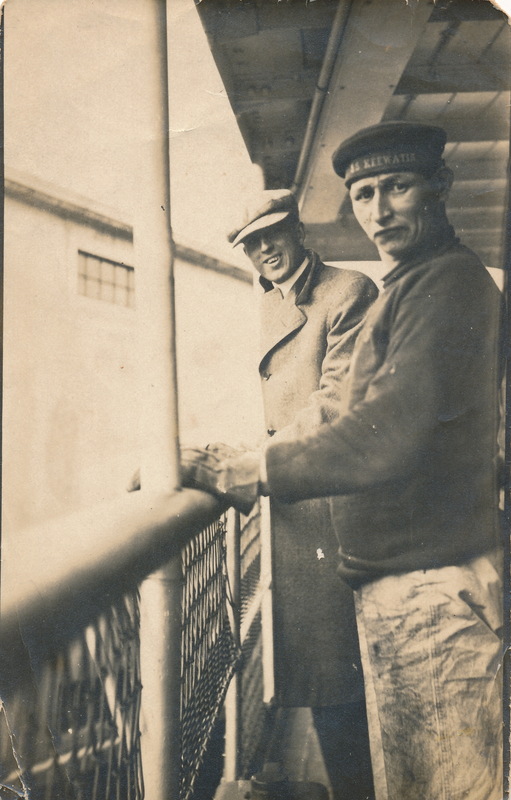 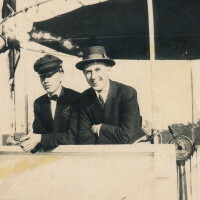 In the Anderson collection of photos of Manistee are found a few of Jerry Anderson as a visitor or a passenger on a large steamer which travelled the Great Lakes and may have come to port in Manistee. The name of the boat was the SS Keewatin. 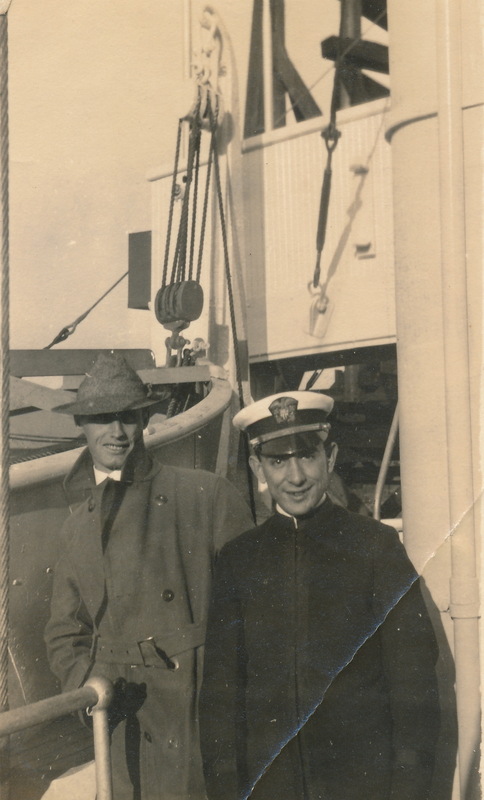 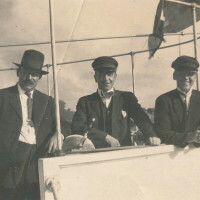 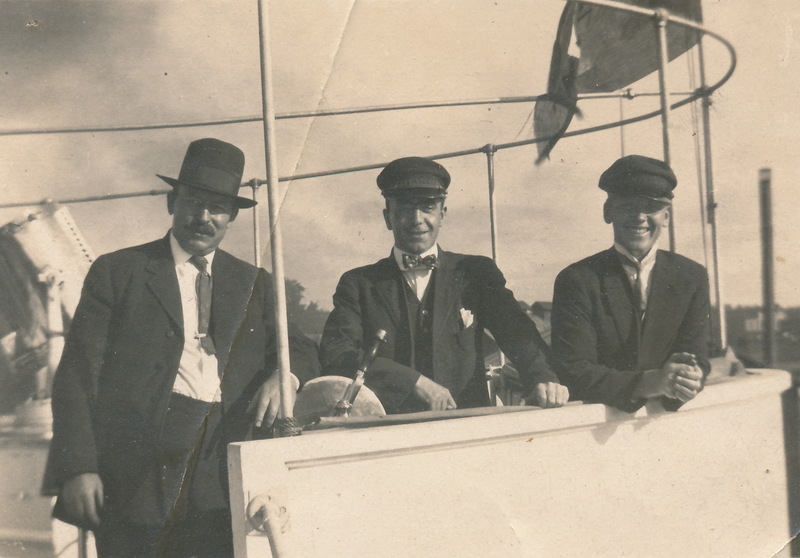 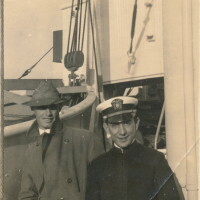 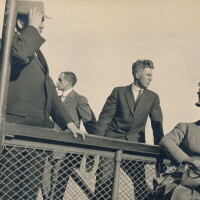 The reason I know the name of the ship which is not full shown in the collection is by reading its name on the hat of one of its mates who is standing next to Jerry Anderson.